These are called ‘koffiekoeken’ in Dutch, which translates as ‘coffee cookies or coffee pastry’. But ‘koffiekoeken’ are not really cookies, nor pastry, nor cakes, so that doesn’t really cover it. If someone knows a better appropriate English term, do let me know! ‘Koffiekoeken’ can be eaten on any occasion, mostly for breakfast or brunch, but also as an afternoon snack with tea or coffee. They come in different shapes and sizes, from the standard ‘boterkoeken’ (butter pastry or cookies) with or without chocolate, raisins, … to round shaped ‘suisses’ or pudding filled ‘Boules de Berlin’. 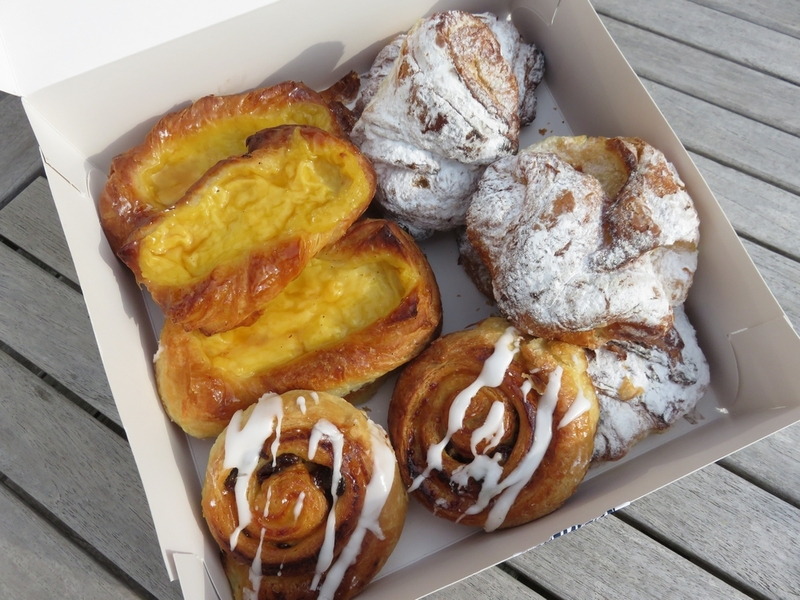 So it was more than 6 years ago that I had eaten koffiekoeken from a Belgian bakery! 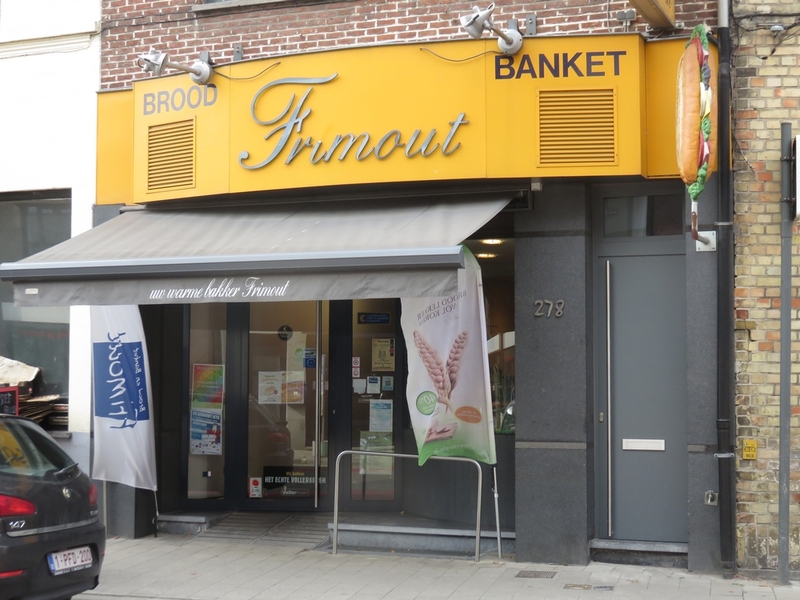 In comes bakery Frimout in Ghent! 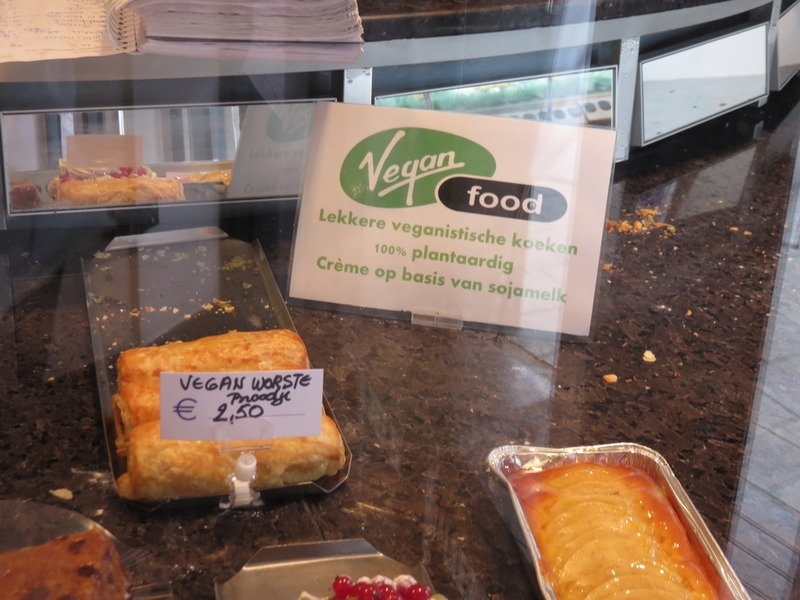 After a request from a vegan living in the neighbourhood a cuple of months ago, Dieter Frimout started making vegan koffiekoeken. 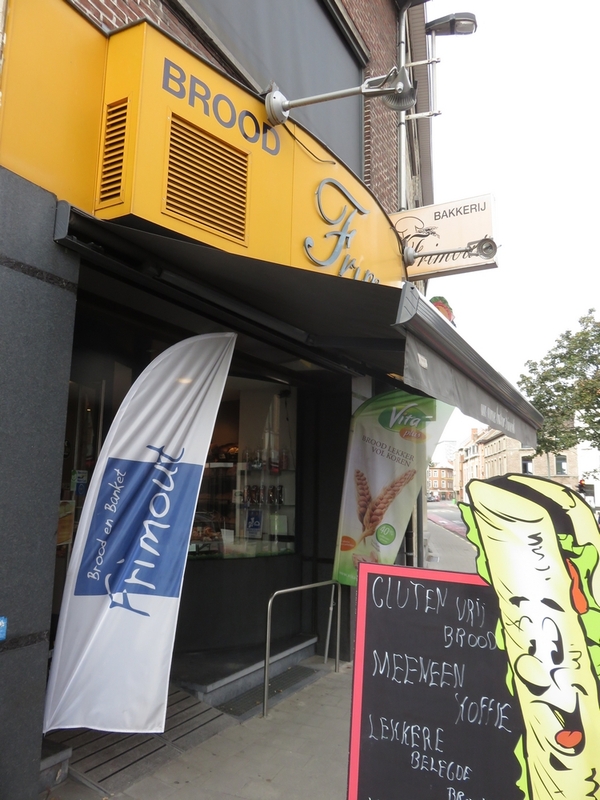 He now sells them on a daily basis (next to his traditional assortissement) in his bakery (at Zwijnaardsesteenweg – in the area of the University hospital UZ)! 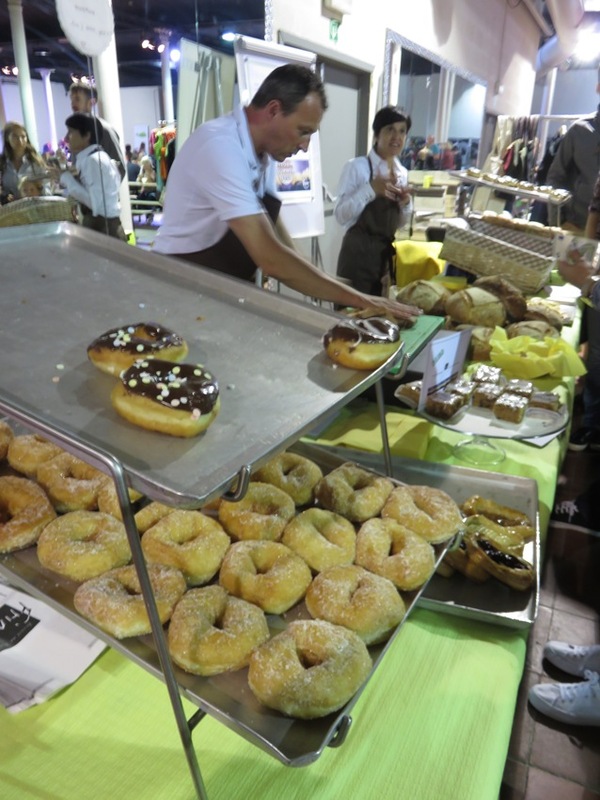 Bakery Frimout was also present at the second edition of Vegan Summer Fest (blog will follow), where he sold out all his donuts, boterkoeken and suissen in no time! 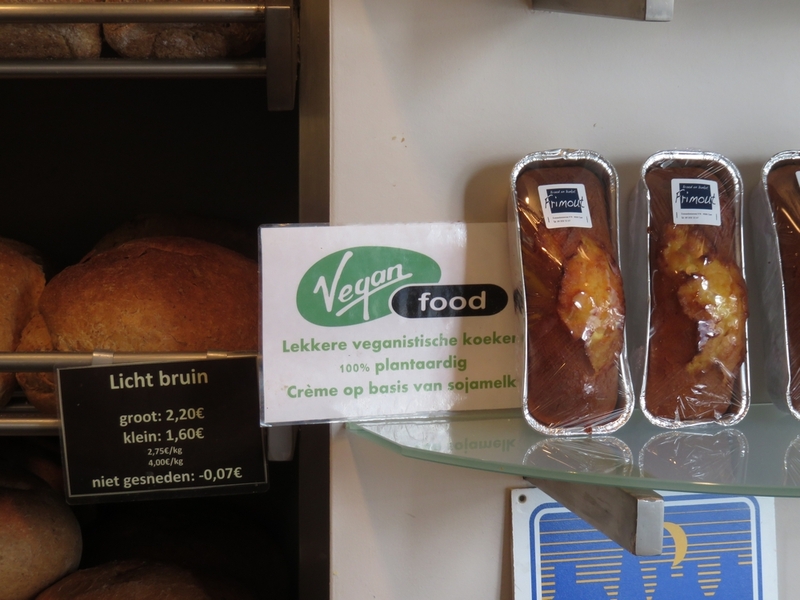 If you want to be sure the vegan koffiekoeken will not be sold out by the time you get at the bakery, better to phone ahead to reserve your koffiekoeken (like I did, I phoned about 10AM and reserved the last 12 koffiekoeken – 16,80€ that were available and went to pick them up in the afternoon). Larger orders can also be made on request! Wow those look amazing!! Larger cities in the US will have vegan bakeries but coffee pastry of that type is pretty rare in my experience (cookies, cakes, brownies are more common). Also that’s pretty awesome that they started making them based on a request! They also tasted amazing. Indeed, I remember from my visits to the States that these ‘Danish pastries’ are rather rare. Neat post! When I first saw the word “koffiekoeken”, I immediately thought of our “coffee cake”, but that’s a totally different thing. It’s a very dense, cinnamony sponge cake. Haha I learned something new! I’ve never seen vegan Danishes sold around here. Maybe one day! These look great. Next PostVegan caviar on toast!